Create complex surveys with multiple transition rules, access to multimedia, and data validation. All this in an attractive graphic interface. 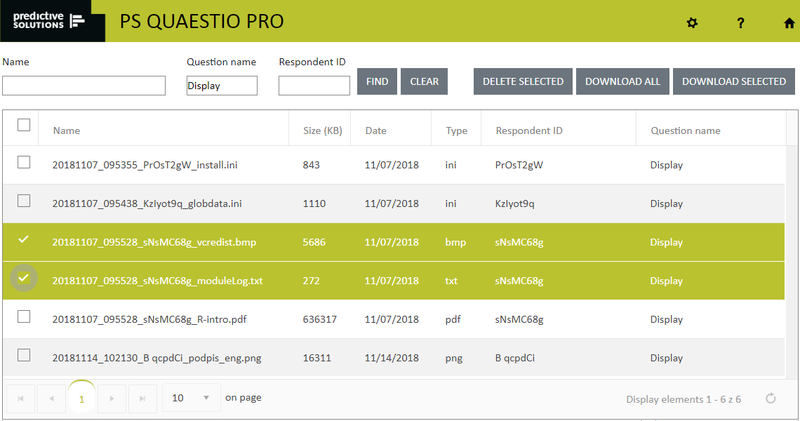 Useful wizards and templates, libraries of ready-made questions and elements in PS QUAESTIO PRO are invaluable in this regard. 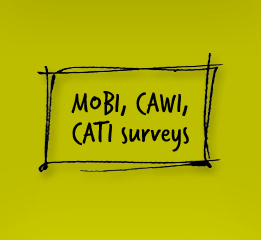 Various data collection methods (CAWI, MOBI, CAPI, and CATI) facilitate better adjustment of communication to the target group and increased response. A wide variety of tools to monitor the survey process; take batch actions towards people who did not commence the survey; and create automated reports. You can finally carry out surveys using data from external systems. 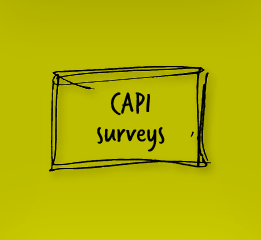 You can carry out a survey that, in real time, will use constantly changing information that determines participation or content of questions. With full security of data exchange. Collected data can be analysed immediately after completion of a survey. The choice of statistical techniques transcends exploratory analysis. 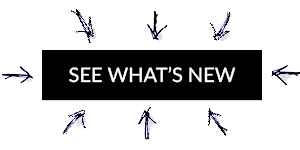 A wide variety of tests, measurements of strength of relationships, and techniques for classification, segmentation, and prediction. Results can be presented as charts and on maps. Results can be tailored to recipients' needs. You can use a web (.html) report made available to authorised recipients. Objects in a report can be updated automatically. You can also create a text report (.docx and .pdf), which can be printed out and enclosed as documentation. Web reports are the quickest way to publish results. They are available via a web browser to all authorised recipients. You can set specific parameters for periodic reports, which can be created automatically as a part of a process. Recipients will be sent a personalised notification. We can reach global customers. 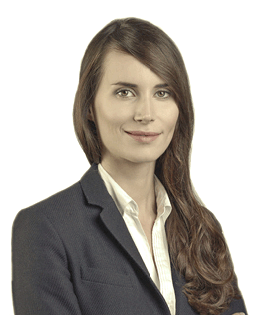 I can answer key business questions by only juxtaposing information collected in various languages. 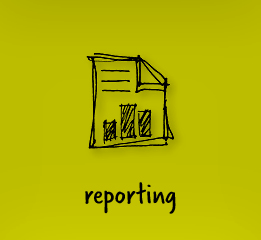 Reporting requires information to be up-to-date and reliable. Reporting surveys are efficient tools to collect it. The management values information about cooperation of departments a lot. We are able to improve communication weak points as they appear. My company operates globally. I carry out numerous marketing activities in order to maintain a coherent image message. Every world-wide change I plan must be justified. The possibility to carry out international surveys and receive feedback from every part of the world we operate in is crucial. 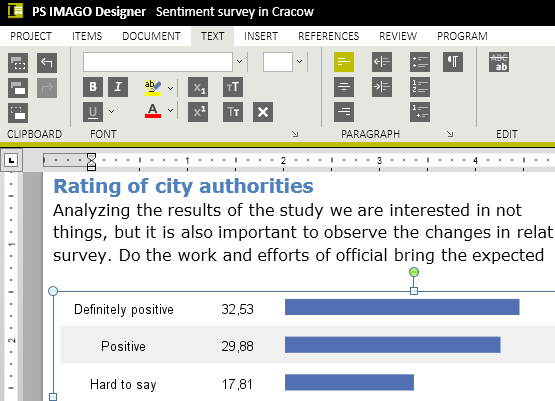 Key elements I focus on are: the tremendous size of surveys (over 2 billion respondents), communicating with participants in their own language, and ease of juxtaposing collected data. Visual elements are just as important. They must be automatically adjusted to the type of customer I address. Municipality affects every resident either directly or indirectly. Public mood monitoring and periodic verification of results of Municipality's actions is a priority task of my team. Detailed reports are intended for people who take decisions about the shape and directions of future development. Being able to compare results on an on-going basis is a key component of their decision-making. On the other hand, more synthetic reports are addressed directly to the public opinion shapers, including the press and our residents. Automation of a large part of work and systemic support on all stages: survey process, analysis, and result reporting guarantee liquidity and constant prime quality. The scope of our information-related needs created the necessity to collect data that is not always opinion-forming but strictly reporting in its nature. Such information is often stored in lower-level institutions dispersed over a large territory. Diversity of systems among the institutions, which prevents electronic data exchange, is a substantial obstacle as well. Effective use of such information requires complex control functionalities such as: cross validation, response summary, print-out of confirmations, etc. The need to monitor the factual quality of the data and ease of embedding of explanatory and supplementary content appear to be equally important. Periodic analysis of inter-departmental cooperation quality is one of the most effective ways to control this domain. The impact of this component on virtually every aspect of company operations entails the necessity to monitor key indicators of internal cooperation. Thanks to the knowledge provided by the integrated data collection, analysis, and reporting system, we are able to react to any alarming symptoms quickly by, for example, implementation of adequate corrective procedures. The project was intended as a pilot programme at first. Today, practically all management levels use its results. By using questionnaire validation, we get a logical, coherent, complete, and fully described data structure. This way we are able to provide our customer with a complete database virtually right after the last interview. PMR Ltd. Sp. z o.o. Regardless of the size of the sample group, we can easily modify and expand any joint survey project. When carrying out a survey, we can easily monitor the process and manage it anywhere via the Internet. The project was ready astonishingly quickly, in just 14 days. 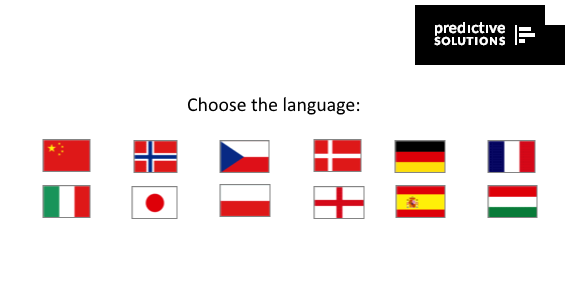 The surveys were made in Europe and Asia among almost 2 million customers in over a dozen languages. The solution could handle 100,000 entries and almost 50,000 survey forms. The commercial group that ordered the survey found it innovative. 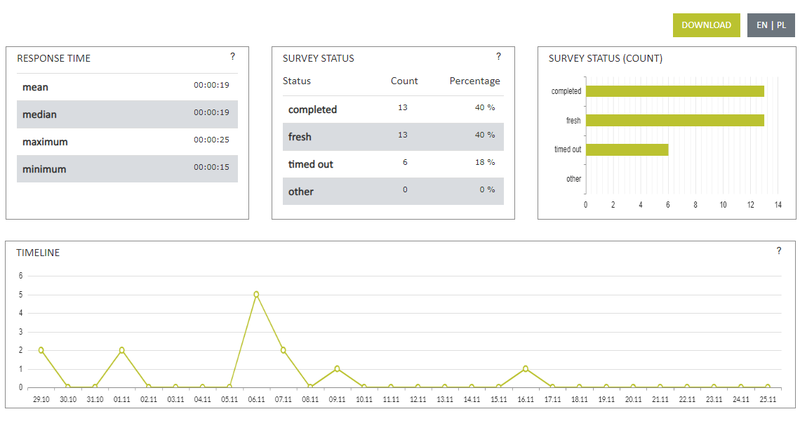 Build even a complex survey and conduct it using various channels. You can use a wide variety of materials and sample library. Use the advantage of CAWI and CATI. 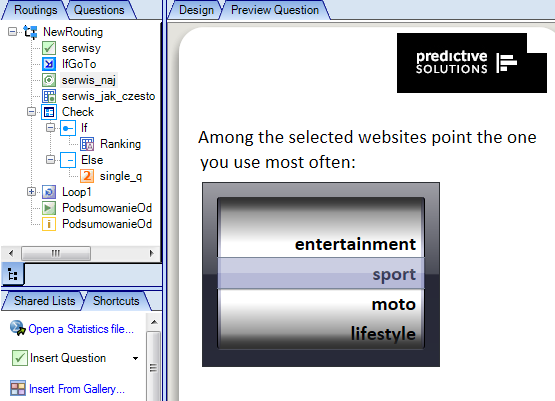 Administer each component of survey conducting and manage processes with a web browser. 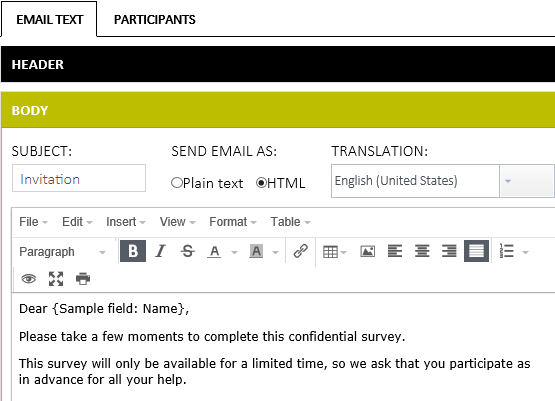 Enjoy working with paper surveys using simple tools that facilitate conversion of a survey form to MS Word with all rules, codes, descriptions, etc. Efficient direct surveys thanks to a wide variety of question validation, data coding and synchronisation tools. Access to multiple analytical techniques and data management tools provides new features of reporting tools. 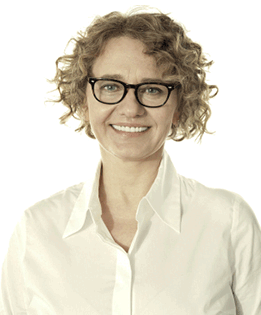 Build an independent report in your corporate standard. Select the right document format for the publication method of your choice and create your own report style. 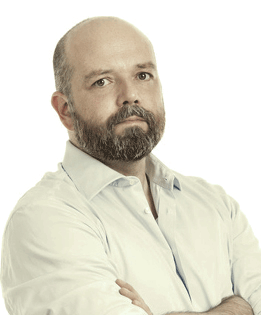 Make analytical content available to authorised recipients. 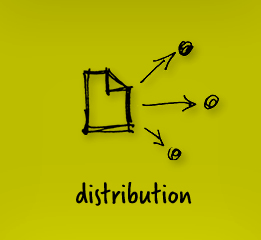 You may create a distribution environment for your own reports or for the whole company. Constant access to up-to-date information facilitates decision making and speeds actions and responses to change while building company's competitive edge. 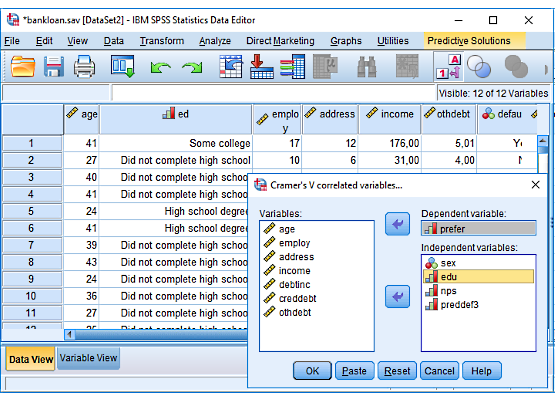 IBM SPSS Statistics is a proven and powerful tool for quantitative data analysis. A number of modules offer numerous techniques for tasks such as descriptive analysis, prognosis and prediction, and classification and grouping. 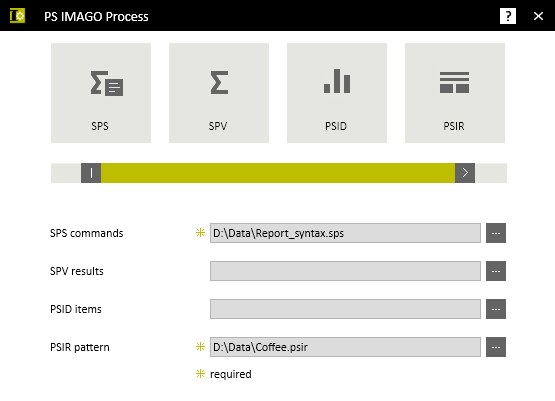 31 additional procedures of PS IMAGO Pack PRO greatly enhance functionality of IBM SPSS Statistics. They offer data set management, variable transformation, and variable dependency analysis methods that were unavailable until today. Apart from new techniques, PS IMAGO Pack PRO provides a number of new types of result visualisation methods e.g. 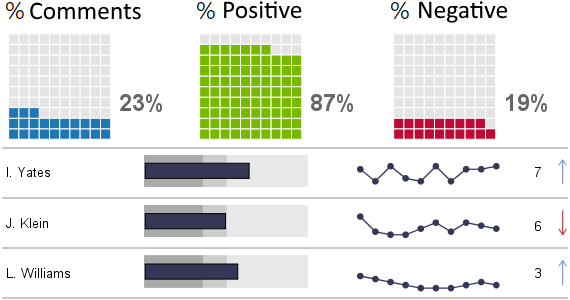 dashboards or juxtaposed charts. With result objects of analyses made using IBM SPSS Statistics the creator of the report will finally be able to prepare information adjusted to the needs of the recipient with ease. 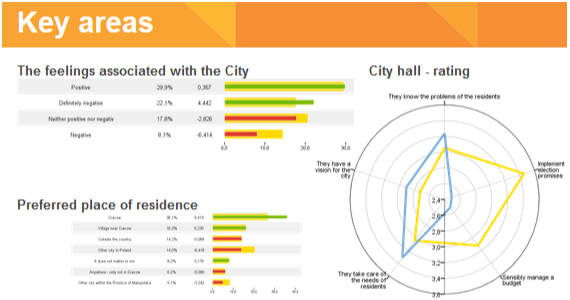 Some definable elements of the report are: layout, structure and navigation, style, appearance, format, and description and comments to objects. It enables you to prepare the report as per your corporate standard. Finished report may be published on company website, corporate portal or simply sent as a PDF to selected people depending on the form you chose. 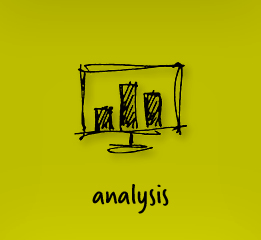 Analytical reporting does not end when the report is completed. Its publication and distribution to authorised users is just as important. It would be an excellent solution for an organisation to create one place where results could be presented and published and vital business information gathered. This is Portal in essence. 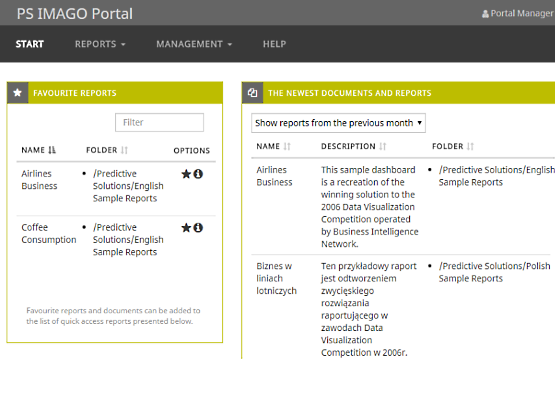 Users can publish reports, create groups and authorise recipients using the Portal. Reports kept in the repository are organised in catalogues whose structure may reflect e.g. the organisational structure of the company or its business goals. Uninterrupted access to information that is up to date is the key for efficient operation of any business. It pertains not only to reproducible reports. It often happens in the case of ad hoc reports that published documents differ in terms of data only. 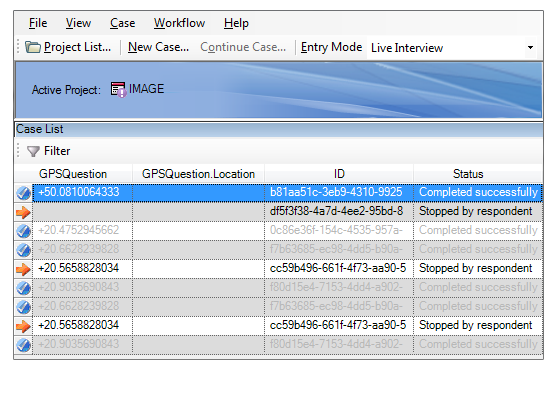 Until today, updating such a report meant generating and exporting objects in IBM SPSS Statistics from the scratch. 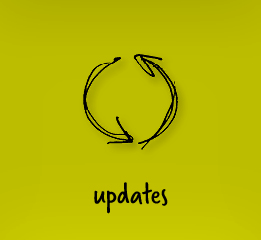 The new feature automates the process of updating and publishing ad hoc and periodic (e.g. 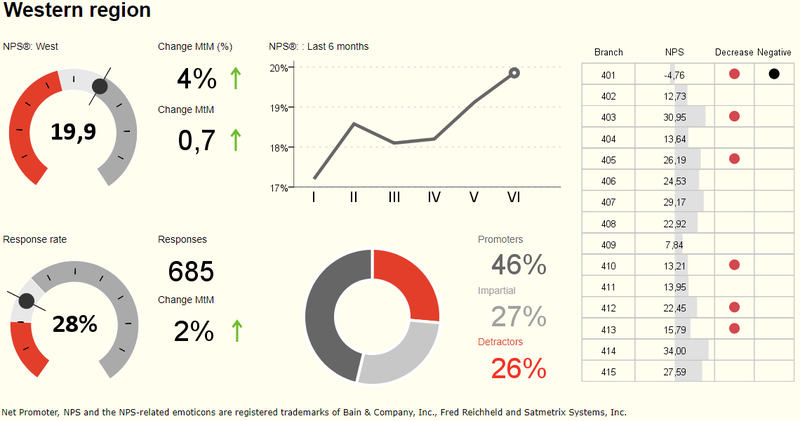 quarterly) reports. The UNICOM Intelligence Author module helps you create visually appealing survey questionnaires and forms with an intuitive graphic interface. Prepare a questionnaire once and use it multiple times in various languages and any form: as Internet survey, phone interview, or paper questionnaire. UNICOM Intelligence Author makes the process of creating surveys of any length and even most complex logic quick and simple. It also facilitates immediate commencement of response acquisition while maintaining maximum efficiency and quality of collected data. Even new users can operate the program easily; and the abundant set of auxiliary materials and sample library facilitate fast increase of expertise. UNICOM Intelligence Paper is a tool that makes working with paper surveys much easier. It becomes integrated with standard functions of the popular text editor. Its application involves mainly automated conversion of surveys and forms prepared in one of the PS QUAESTIO PRO: UNICOM Intelligence Author or UNICOM Intelligence Author Professional. 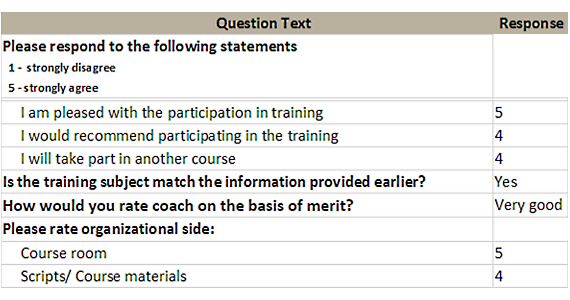 The conversion results in fully editable (MS Word) file, which contains questions and additional elements such as: transition and completion rules, question codes, notes for the interviewer, etc. Program for off-line surveys. 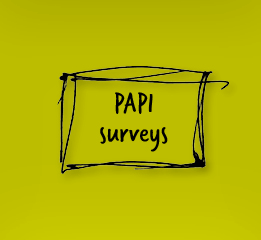 Its primary application is support of two basic survey techniques: CAPI and PAPI. 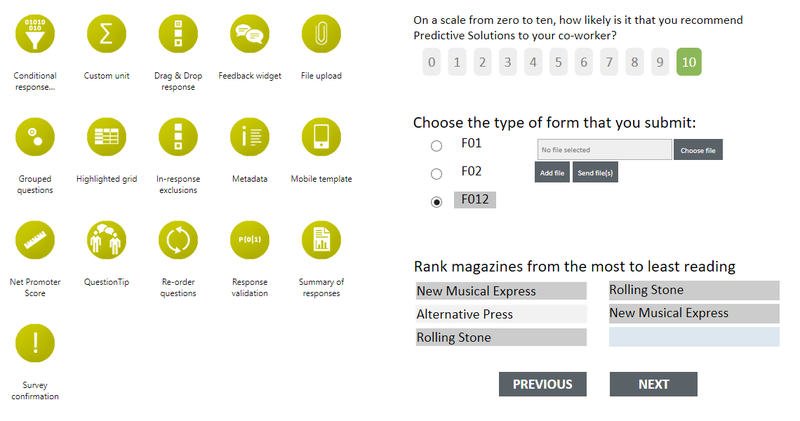 It offers clear and intuitive interface for direct interviews for inputting respondents' answers with a module for recording selected parts of the survey. 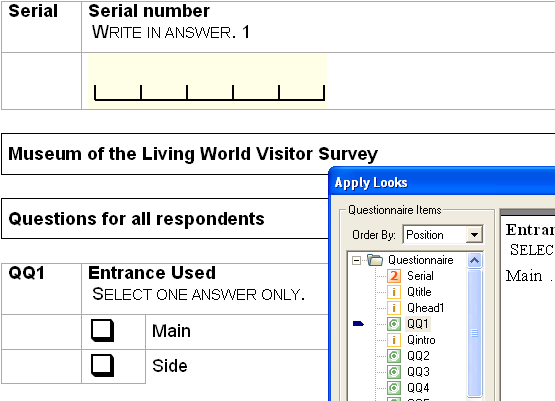 It has an advanced mechanism for validation and coding of questionnaire questions from paper interviews. Unicom Intelligence Interviewer supports a synchronisation module, which automatically merges all answers given by respondents in interviews that employ various techniques: CAWI, CATI, MOBI, CAPI, and PAPI. Predictive Solutions (formerly known as SPSS Polska) has been providing solutions for extracting information from data for 25 years. It offers knowledge and experience together with software and comprehensive solutions for efficient data analysis in business, public administration, research, and education. 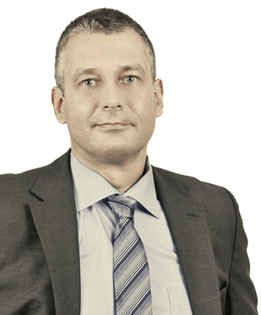 The solutions use IBM SPSS technologies, whose main distributor in Poland, since 1991, is Predictive Solutions. Dedicated solutions for selected business areas: anti-money laundering (PS AML), customer relationship management (PS ACRM), fraud prevention (PS FRAUD), and others were created based on these technologies. The company also provides original solutions, such as: comprehensive analytic and reporting platform - PS IMAGO PRO and case management system (PS SYMOBIS). From statistics and reporting, to data mining and predictive solutions, Predictive Solutions helps you use your data to look into the future and make the best decisions. Copyright ©2019 Predictive Solutions. All rights reserved.